The location to restaurants, value for money, breakfast included in room price. Everything was perfect. Had everything there that I needed. We were charged twice and money is still not back in my account.. Handy for a range of restaurants. Breakfast from 6am was good timing. Plenty easy parking on site. Great location as in town for the footy game!! Short walk to stadium and club for dinner! Will definitely be back sometime!
. The room facilities were very good. Great location. location was great, walking distance to so many meal options, the apartment was spacious. would definitely recommend. Requested only a cot, was provided with a cot, high chair, baby bath and extra towel for our baby. Cot located in lounge outside glass wall of bedroom made for separation really well but could still see her was fantastic. Very clean and excellent facilities. 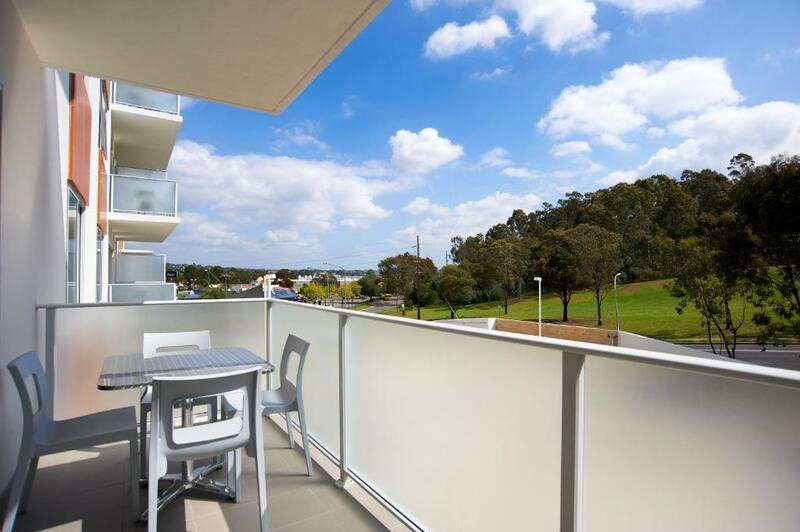 Lock in a great price for Quest Campbelltown Serviced Apartments - rated 8.4 by recent guests. 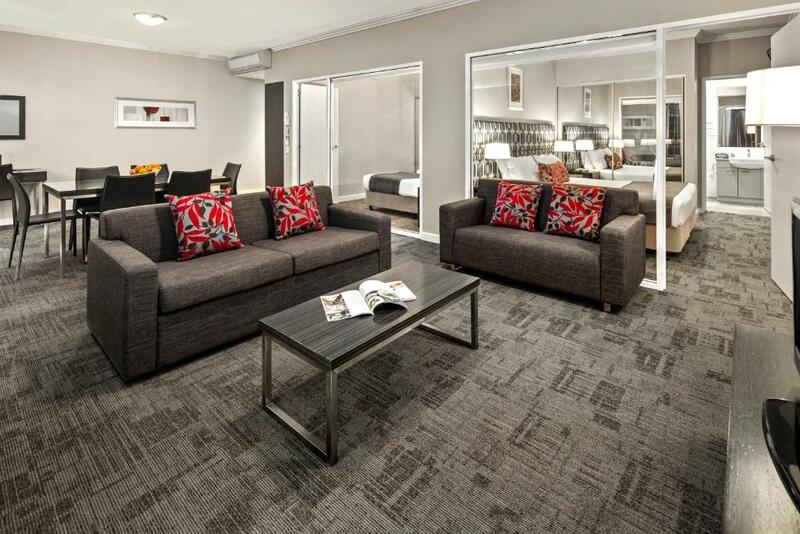 Quest Campbelltown Serviced Apartments is situated only 5 minutes’ drive from the centre of Campbelltown. It offers broadband and free WiFi internet access. Each apartment at Quest Campbelltown is fully self-contained and includes a fully-equipped kitchen, and cable TV. Some apartments also have a laundry and a balcony with scenic views. Guest facilities include a fitness centre, barbecue terrace, personal grocery shopping service and tour desk. The Quest offers express, continental and cooked breakfast options. A range of popular local restaurants can have your meal costs added to your accommodation bill. Campbelltown is 45 minutes’ drive south-west of Sydney. The Quest is within 10 minutes’ drive to Campbelltown Convention Entertainment Centre and the Japanese Gardens and Teahouse. This property is also rated for the best value in Campbelltown! Guests are getting more for their money when compared to other properties in this city. 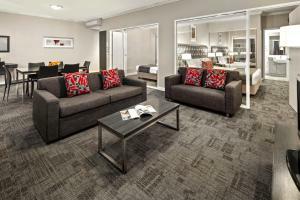 Quest Campbelltown Serviced Apartments has been welcoming Booking.com guests since 27 Oct 2010. 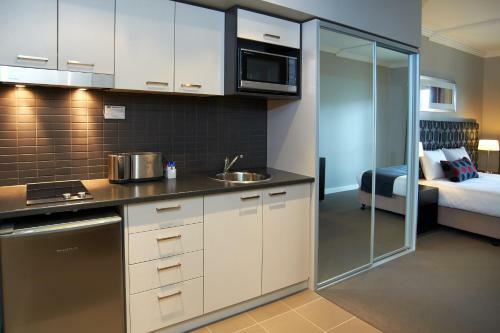 When would you like to stay at Quest Campbelltown Serviced Apartments? This open-plan studio room features a kitchenette, reverse cycle air conditioning, broadband internet access, a work desk, an LCD TV with cable channels, a DVD player and a CD stereo. It also has a dining area and complimentary access to the on-site guest laundry. This room has no capacity for extra bedding. Private parking is possible on site (reservation is not needed) and costs AUD 10 per day. This apartment features a fully equipped kitchen, a separate bedroom with built-in wardrobes, a lounge room, a dining room, an in-room safe, a work desk, a personal laundry and a bathroom. It also has an LCD TV, DVD, CD stereo, broadband/Wi-Fi internet access, cable channels and reverse cycle air-conditioning. An additional third person charge is available for an additional $50.00 per night. This spacious apartment features 2 bathrooms, a fully equipped kitchen, 2 separate bedrooms with built-in wardrobes, a lounge room, a dining room, an in-room safe, a work desk, a personal laundry and a bathroom. It also has an LCD TV, DVD, CD stereo, broadband internet access, cable channels and reverse cycle air-conditioning. This apartment features a spacious balcony, a fully equipped kitchen, a separate bedroom with built-in wardrobes, a lounge room, a dining room, an in-room safe, a work desk, a personal laundry and a bathroom. It also has an LCD TV, DVD, CD stereo, broadband/Wi-Fi internet access, cable channels and reverse cycle air-conditioning. This spacious, air-conditioned apartment features a spacious balcony, a fully equipped kitchen, built-in wardrobes in each bedroom and a lounge area offering an LCD TV with cable channels and a DVD player. It offers a dining room, an in-room safe a work desk and laundry facilities. This is an interconnecting 2-bedroom apartment, equipped with 2-kitchen facilities, 2-bathrooms and a laundry. There is a lounge, dining area and a balcony. A king-size bed or 2 single beds are available. You can request your preferred bedding configuration in the Special Requests Box at the time of booking. Please note that the bedding configuration is not guaranteed and will be confirmed upon arrival, subject to availability. Hosted by Quest Campbelltown Team. 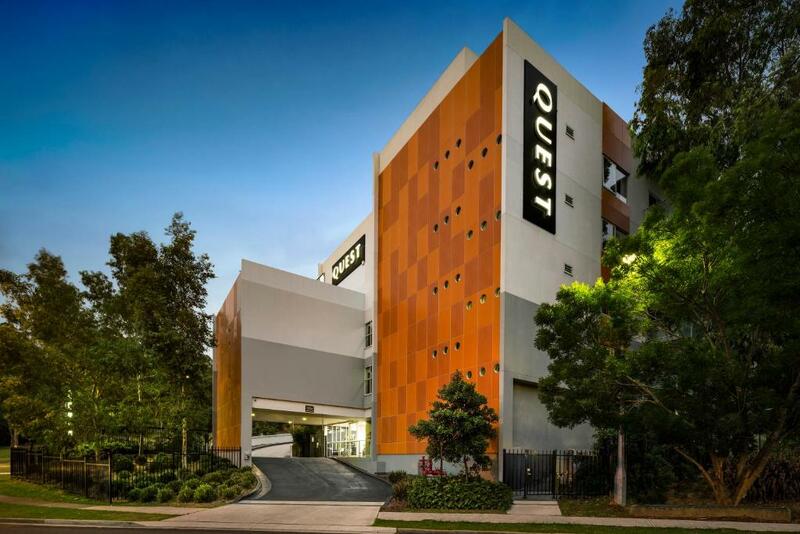 Quest Campbelltown is ideally positioned in the South-West Sydney growth centre, and is ideally located off the M5 and near the M7, for the corporate and leisure traveller. 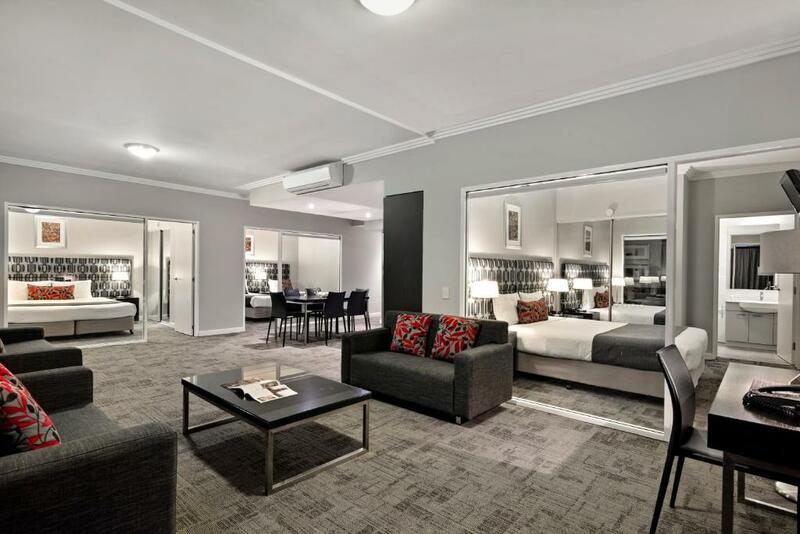 As our guest at Quest Campbelltown, you will experience reliable, professional and friendly service. One of our Team's favourite thing to do is to go for a walk to Campbelltown Stadium and watch a Wanderers game. We also enjoy visiting the beautiful gardens and exhibitions at Campbelltown Art Centre. Placed around popular fast food favourites and restaurants are guests are absolutely spoilt for choice when it comes to food options. 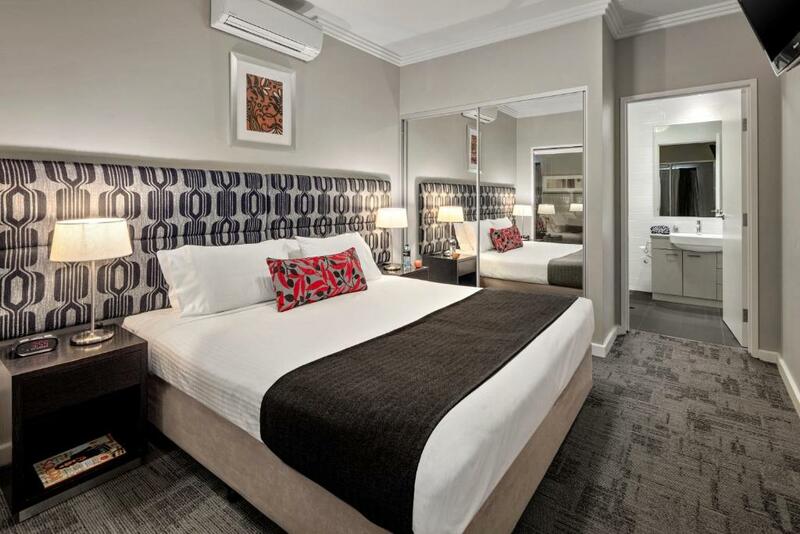 Our Hotel is a short drive to the districts most popular industrial areas and sporting facilities, there is no better place to stay for business or leisure when it comes to Campbelltown. House rules Quest Campbelltown Serviced Apartments takes special requests - add in the next step! A damage deposit of AUD100 is required upon arrival, which is about GBP54.31. This deposit is fully refundable 0 days after check-out as long as there has been no damage to the property. All children under 2 years are charged AUD 10 per night for children's cots/cribs. All children under 12 years are charged AUD 50 per night for extra beds. All further older children or adults are charged AUD 50 per night for extra beds. Bankcard Quest Campbelltown Serviced Apartments accepts these cards and reserves the right to temporarily hold an amount prior to arrival. Quest Campbelltown Serviced Apartments accepts these cards and reserves the right to temporarily hold an amount prior to arrival. Please note that there is a 1.48% charge when you pay with a Visa, 1.27% charge when you pay with a MasterCard and a 1.47% charge when you pay with a UnionPay credit card. Please note that there is a 2% charge when you pay with an American Express and a 3% charge when you pay with a Diners Club credit card. Please note that guests are required to present a valid credit card upon check in and that a credit card pre-authorisation of AUD $100 will be processed at the time of check-in. Please note housekeeping service is not included on Sundays or Public Holidays. A damage deposit of AUD 100 is required on arrival. That's about 54.31GBP. This will be collected by credit card. You should be reimbursed on check-out. Your deposit will be refunded in full via credit card, subject to an inspection of the property. No pasteries at breakfast, had to pay for parking. Shower hadnt been cleaned properly, there was soap scum built up on tiles. We booked a studio apartment with a king bed which turned out to be 2 single beds pushed together with a sheet over top. For a nice hotel chain and for the price i paid, i should have at least had a proper bed in our room instead of sleeping on the uncomfortable ridge in the middle created by the edge of the two single mattresses. The furniture quality didnt live up to the expectations or standards of a hotel with this good of a reputation. We were not provided with information about how the entrances to the hotel or our room worked, we werent told about the after hours entry and thought we were locked out for half an hour at 12am, and we werent given instructions on how to operate the lock on the door to our studio and spent at least 15 minutes total trying to figure out how the doors worked (also we were given 2 very different looking swipe cards which we could not for the life of us figure out what the card that did not contain a chip was for) You also need to specify on your site that the security deposit can be paid by card only as we had arrived with cash to pay the deposit (room was already paid for with a card on file) and did not have a card prepared at the time. Although we had some communication issues with the staff they were lovely ladies and were very accomodating. The only fault I have is the bed was very soft. There was no wifi, the breakfast was poor, there was limited food when we arrived at 8am and it was not very clean. The location was very good. Only improvement could be pillows. Other than that, perfect! Better if we were refunded straight away..